Susan J. Liebig, 51, of Lancaster, passed away unexpectedly on Saturday, December 1st, 2012 at her home. She was the loving wife of D. Michael Liebig. Born in Washington D.C., she was the daughter of Matthew C. Brandt Jr. and the late Dorothy Lou Brandt. She lived most of her years in the Millersville area attending Penn Manor High School and Millersville University. She and Mike were members of Grace United Methodist Church. She cared most about spending time with her children and her husband, Mike, also her best friend. Together they cherished traveling, following their favorite sports, and being with friends. Sue loved reading, gardening, and the outdoors. She will be remembered for her open heart, attentive ear, and contagious laugh. In addition to her husband and father, she is survived by son Travis and daughter Kristen, as well as her sister Sandra Brandt. 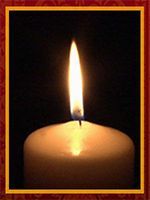 Relatives and friends are respectfully invited to attend a Memorial Service on Wednesday December 5th, 2012 at 3:00 P.M at Kearney A. Snyder Funeral Home, 141 E. Orange St., Lancaster, PA. with the Reverend Richard Conner officiating. Friends may greet the family at the funeral home from 1:00 P.M until the time of the service. In lieu of flowers, contributions may be made in her memory to Hospice & Community Care, P.O. Box 4125, Lancaster, PA 17604-4125. I am very sad at the passing of Sue. She was a great person. When I think about Sue, she was a warm hearted person with a warm smile and a contagious laugh. I am just glad to have known her. And I know that she is in a good place today. Love out to all the family. i feel so sad for your loss she was such a great person. may god be with you all. Although no words can really help to ease the loss you bear, please know that you are very close in every thought and prayer from our family to yours. Sue was and is always the loving Mother, Wife and friend we all knew – she will be missed, but may you take comfort in knowing an angel is watching over you! Mike, I am so sorry for your loss and I hope that God grants you the strength to endure and touches your heart. You and your children are in my thoughts and prayers. My heart aches for you. There are no words that can take away the pain that you feel. Please try to take comfort in knowing that you are in our thoughts and prayers, and she is in God’s arms. Much love to all of you. Kristin and family our thoughts and prayers are with you and your family. Teyairra and all of your friends thought of your mom as their second mom. They always looked forward to going to your house to hang out! May you cherish the memories! We are here for your if you need anything! I am at a loss for words to say to console her wonderful family. Let me just tell you that when I found out yesterday, I talked to Susan out loud. I told her how proud I am of how she raised two wonderful kids and took care of her family and was so much fun to be around and talk to…I just needed her to know that she made such a wonderful impact on those around her, and her life was so very, very meaningful. I’m sure you know that; just know that everyone else feels the same. I’m so sorry. I don’t even know how to start writing this. Please know that you are all in my thoughts and prayers. Travis and Kristen, your Mom was sooooooo incredibly proud of you. Each time I would see her, she would so proudly tell me of your latest adventures and school events! Tyler and I are sending you and your family our deepest, heartfelt sympathy. I am still in shock. Mrs. Liebig was always like a second mother to all of us! Whenever any of us were upset we always knew we could go over to Kristen’s house and hang out with the family by the fire! I love you all very such. Please let me know if you need anything! So Sorry for your loss. The memories that you all have of Sue throughout her life will never be forgotten and no one can take them away. We hope that as you reminisce whether verbally or silently you find peace and comfort with those memories. You are all in our thoughts and prayers. Mike,Deb and I are so sorry for the loss of Susan.Please know that You and your children are in our thoughts and prayers. Mike, Travis and Kristen. I am at a loss for words. The thought of Sue puts a smile on my face. Her effervescent personality was infectious. Her warmth and caring for everyone around her will never be forgotten. She was a very doting Mom. Always sharing your accomplishments. My heart goes out to you and know that I am praying for you tomorrow and in the days and weeks ahead. There are some people in your life that always bring a smile and a feeling of comfort when you think about them, no matter how long it’s been since you’ve seen them. Sue was one of those people in my life. I know she will be missed by many. My deepest sympathy. Words are inadequate but I will keep you and your family in my prayers and know that all your friends at work are here to support you in any way we can. I’m so sorry for your loss. You are in my thoughts and prayers during this difficult time. So very sorry for your loss. Keep strong, my friends. Love and prayers to you both. So sorry for your loss. Just wanted you to know that you and your family are in my prayers and thoughts. Although my heart is grieving, it is no where near the pain and loss you are feeling at this time. I pray the Lord will give you comfort, and strength during this trying time to help you as you go through each new day. I will miss her, I am glad I had a chance to know her. Thank you for sharing her with me. I was deeply saddened to hear of your loss. I want you to know that I and my family will keep all of you in our prayers. We hope you all can find peace at this difficult time. I was her Fedex delivery driver for about four years. I just found out today (1/29/13) when I delivered a package and she wasn’t at her desk. My thoughts and prays go out to her family. She always put a smile on my face.